With a slimmer fit ideal for city-living, the Refined Tall Wellington boot features a tailored shape, and is constructed from fewer rubber layers for a more lightweight feel. 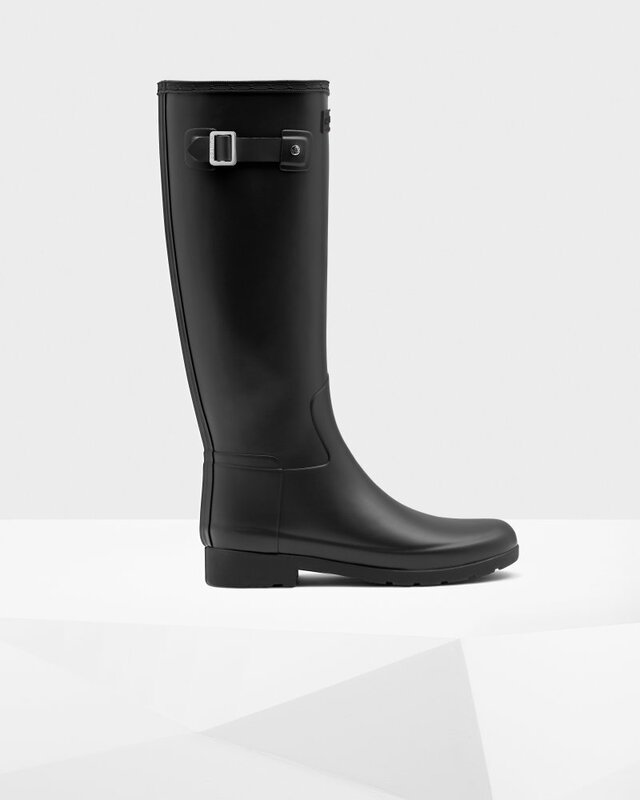 Handcrafted and fully waterproof, this women's wellington with a classic black matte finish seamlessly blends practicality and style for a chic wet weather look. Rated 5 out of 5 by Ilana Angel from Amazing! Absolutely love these! Comfortable, look good and completely waterproof! Rated 3 out of 5 by Rita from To tight on the top of the feet I bought a bigger size than the one i had so i could wear the socks but I still cant wear them... they hurt me on the top of my feet, even without the socks. I put an object inside them hoping they would be softer. Rated 5 out of 5 by Danielle 62 from GREAT FASHION LOOK GREAT The boots was a gift for christmas, they took a long time to find, the slim look and style I think is what sold it for me, all the other boots looked over size and heavey, My daughter in law loved them very good delivery also, Thank you. Rated 4 out of 5 by Busy bee from Oxblood slimfit Look & fit great on my slim legs, must be very slim in the foot too as still quite tight. Still trying to break them in. Love the Oxblood colour, a change from black. Rated 4 out of 5 by Alfie from Great wellies Love my wellies! Downside is that although the leg is lovely and slim and is not baggy around my legs, the foot is also very narrow. I should have gone for a size bigger.